Create Happy Customers Who Out-Market Your Marketing Team! Fill out the form on the right to INSTANTLY download our e-book Leveraging The Consumer Rebate ABSOLUTELY FREE! At 360 Incentives, we speak to hundreds of consumers every day and in the course of doing that we have learned a LOT about how to turn customers into brand advocates. Did you know a poorly planned campaign can be worse than no campaign at all? The Six Degrees of Separation theory has changed in the connected age: it is more like 4 degrees now and it is giving even more people an influential voice. If you’re not leveraging this for your brand you are leaving money on the table in ALL your territories. How to turn your customers into happy brand ambassadors. The single element that has the greatest weight in brand decision making with over 90% of today's consumers! Which part of your marketing plan to remove today, right away! 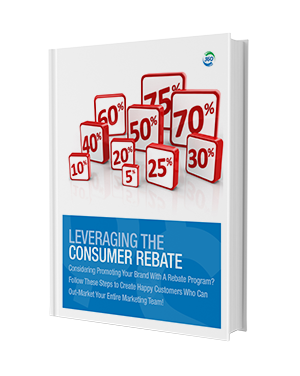 A short worksheet to help you make sure that your consumer rebate campaign is building consumer happiness. As more and more brands move to an indirect sales model, it becomes evermore critical that YOUR loyalty programs are having the desired effect: DRIVING MORE SALES! Fill out the form at the right and you’ll be on your way to dominating in your category.